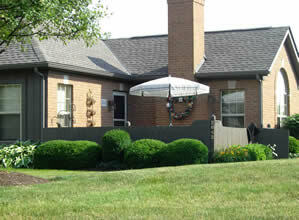 Trotters Chase, located in Northwest Columbus, next to Dublin, Ohio, is a suburb of Columbus, was Epcon Communities third condominium community. 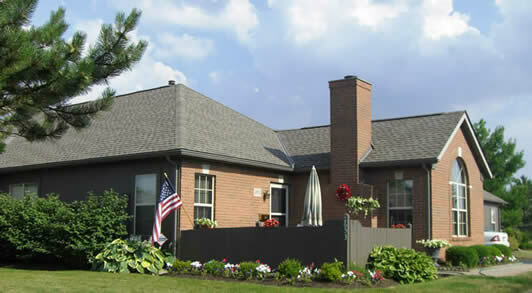 Built in 1989, you will find the 1-story Villa floor plan and the newly introduced 2-story Chateau floor plan. The Villa has 2 bedrooms, 2 full bathrooms. The Chateau has 2 bedrooms and a den that can be used as a third bedroom, 1 full bathroom on each floor, 1 half bath on the first floor. Each floor plan offers a 1-2 car garage, first floor laundry and garden style patio with privacy fence. 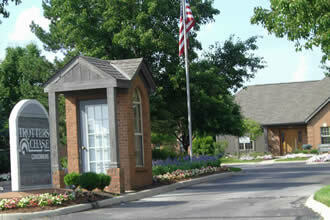 The entrance to the community sets the tone with the pretty gardens, American flag and Clubhouse. Beautiful Clubhouse with gathering room and exercise area. The gated pool is right next to the Clubhouse. 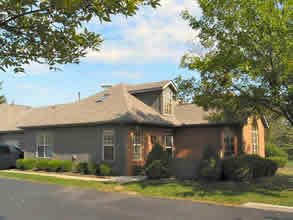 2-story Chateau offers a master suite on each floor, along with a 3rd bedroom or office on the first floor. Discover 2.5 bathrooms and an attached garage. Villa with 2 bedrooms, 1.5 bathrooms, 1 car garage with garden patio. Another look at the home owner's pride!